Tour of Hidden Places. Part 3. A Travel to "Classic"
As for the rest, it looks like patchwork quilt which contains the pieces of other locations except for some unique features. For example tanks, flying mushrooms, crater of the gone dragon, which has something to do with Mannoroth. The main unique feature of the old Outland is a huge reservoir (an ocean or a sea), which is absent in the original Outland since in BC it is situated in space…This dam reminds me the main road of Hellfire Peninsula (if you can’t find similarities, try to have a closer look). And the other parts resemble the lower part of Tanaris because of these poking…spikes and caves,and because of trolls’ constructions, who were sent by blizzard to the Outland for some reason. The most doubtful and illogical moment for me was the appearance of the location name Dun Morogh, at some moment… Then a logical question appeared «Did the Blizzard want to place Outland in Dun Morogh?». 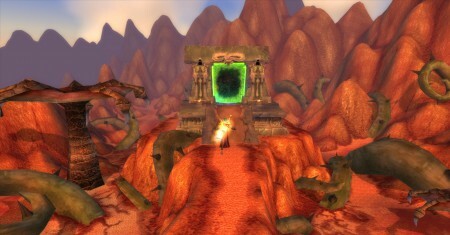 But we will never find the answer and it’s not so important because there is nothing to look at… except for the mini version of the Portal and the demon’s crater…that’s why there is a myth that this location has been created for making screenshots for the loading screens of the classic time. While I was looking for the information about this location I found another one which is also called «Old Outland» even though it’s too small for it. These locations have been seen by many since there are a lot of overviews in the internet. Now, I would like to tell you about some deleted places you must haven’t heard about. 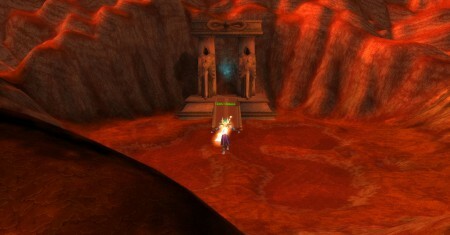 For example, alpha version of the battleground the events of which take place in Dun Morogh. It is called Kalidar and…has a lot to do with the central part of Alterac Valley. There are similar buildings, crossroads and other places. 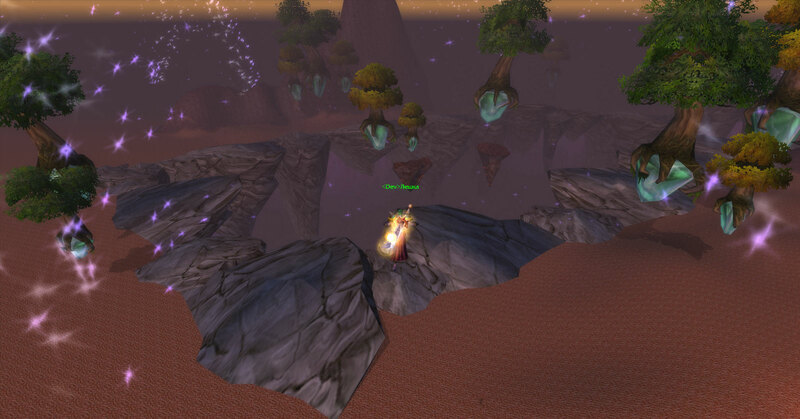 By the way, at this stage Alterac Valley was a separate location and didn’t have this place. Perhaps it was decided to unite these two locations for some reason. However, Kalidar has a summer variant which is changed a bit. It isn’t such picturesque and has only various towers, houses, buildings and also castles. These two seasons are subdivided not by fall/spring but by huge sign «TEST». At that moment, I was about to start a long journey, but noticed the third variant of Kalidar, which is called Iceblood Garrison. As far as I understood it’s something like Arathi Basin since there are four bases at the edges and the one in the middle. But in this case there are towers of each faction with Summoning Stones and two caves. And the icing on the cake is that mini-fort in the middle of a lake which had to be captured, I suppose.